Communications for the travel industry. MuchPR is an independent, boutique public relations agency representing travel, culinary and lifestyle brands. Based in New York City, we are known for our highly personal and collaborative approach with both media and clients. In today’s constantly evolving travel media environment, MuchPR provides the stability of a knowledgeable partner who provides measurable results through earned, paid and owned media. Story pitches, influencer outreach, press trips, deskside media appointments, and much more. Create buzz-worthy experiences media and influencers will be talking about. Develop outreach strategies for success in this highly competitive, market-specific niche. Be prepared. It can’t be simpler than that. We’ll get you message-ready and camera-ready for any situation. Travel and storytelling are our passions. We want people to see and experience the world, and our job at MuchPR is to help tell the stories that will encourage travelers to start that journey. We've worked with Tanya Churchmuch for many years to help develop our two main events in Montréal, Igloofest and Piknic Électronik. She knows the media inside and out and has always been a great supporter of our products. Thanks to her efforts, we’ve received some great media coverage across North America and Europe, which has definitely helped our international reputation. As a small tour operator in Brazil, we really needed help to reach international media to promote our LGBT events. Much PR was absolutely the best. We got excellent coverage across the globe, including from all the top players in our segment. We couldn´t recommend MuchPR more! Tanya Churchmuch took the lead when CTV’s morning show came to Montreal to celebrate the start of festival season. Tanya was exceptionally knowledgeable about the needs of our national morning show. She was highly organized, and most important, got us the answers we needed in a quick and timely manner. Tanya got us what we needed when we needed it. She was a consummate professional who made you wish if only all PR people could be the same. 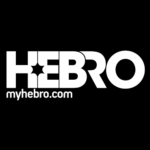 Working with MuchPR greatly helped publicity efforts for the launch of my gay travel company, Hebro Travel. Tanya spent a great deal of time with me to ensure the right messaging was communicated, resulting in top placement in global LGBT media news outlets. Tanya also provided media training to answer questions form various media reporters, which helped me communicate the proper story of my travel initiatives. I’ve worked with Tanya Churchmuch several times over the years and she has always been able to get strong American media coverage for Osheaga, our Montreal-based music festival, be it through personal pitches, press releases or press trips. Thanks to Tanya’s efforts we’ve had great write-ups in publications including Billboard, the New York Post, Spin and many more. She knows her media, has great connections, and is always looking for new ways to get the message out there. If you’re looking for PR representation for your destination, you couldn’t find a better partner than Tanya Churchmuch. Her professionalism and knowledge of the tourism industry, along with her strong relationships with travel writers and social media influencers, leads to great coverage. She also understands and appreciates the relationship between various levels of government when working with a CVB, which isn’t always easy to navigate. It’s a real pleasure working with Tanya. We've had the pleasure and honour to work with Tanya and MuchPR for more than two years now with our tour operator company Pink Iceland. She's always full of laughter and positive energy and we feel that she really has our interests at heart. Her network with brilliant people seems to have no boundaries and everyone we talk to has great experiences working with her. Tanya is always on top of what's happening in the world of PR and media and is constantly coming up with great ideas and introducing us to people and projects that fit our company well. She is very professional and gives us very helpful advice in terms of content, partners and connections. Copyright © 2018 · Handcrafted with ♥ on the Genesis Framework by Eye Heart Creative.